From left: UC President Santa Ono signs the NASA agreement with NASA's Tom Davis looking on. 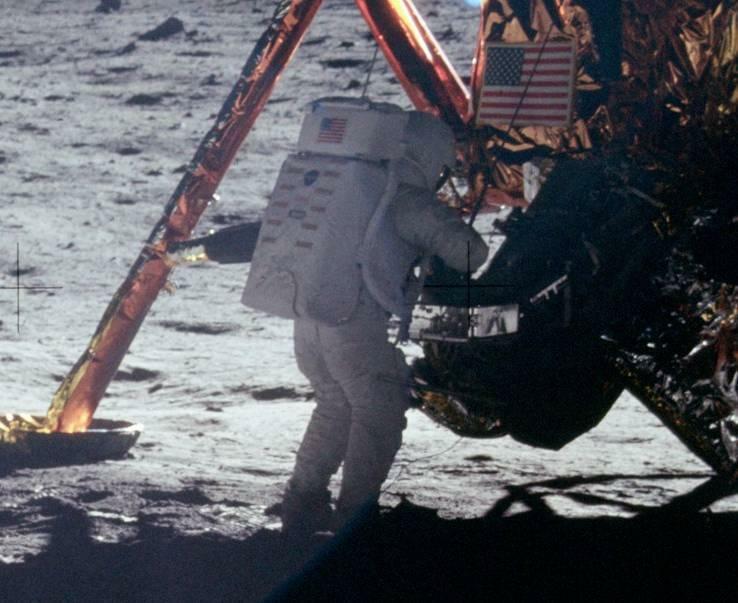 Neil Armstrong: The Life and Flight of a Reluctant Hero. UC students will also have access to the Ames wind tunnel, the largest in the world. The University of Cincinnati will remember Astronaut Neil Armstrong, a professor of aerospace engineering from 1971 to 1979, with an exhibit beginning Thursday. Armstrong, the first man on the moon, died in August, 2012. The exhibit, titled "Neil Armstrong: The Life and Flight of a Reluctant Hero" features artifacts donated to UC by the Armstrong family, including a space mask and plaques awarded to him. A preview Wednesday will feature a life-size bas-relief plaque depicting the astronaut on campus. It will be permanently installed in the entrance to Rhodes Hall. The exhibit runs through November 27th. Members of the Armstrong family, including sons Mark and Rick, will speak about their father at a preview Wednesday. Explore the commemorative website here. 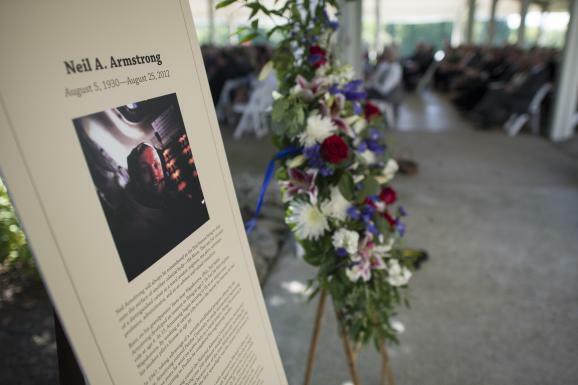 A family spokeswoman confirms Neil Armstrong will be buried at sea. However she did not release details about the time and location. 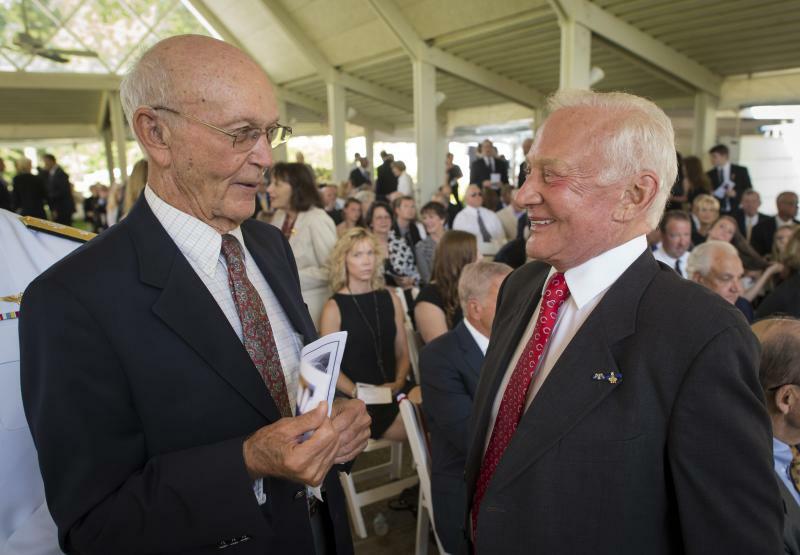 A private service for the first man on the moon was held in Indian Hill last week. On September 13th the public will get a chance to remember Armstrong in Washington. The 10a.m. service will be held at the Washington National Cathedral and will be broadcast on NASA television and streamed on the websites of the space agency and the cathedral. Reservations to attend the memorial are through NASA on a first-come basis. The U.S. Navy is naming its newest research vessel after the late astronaut Neil Armstrong. The R/V Neil Armstrong is the first Armstrong-class Auxiliary General Oceanographic Research (AGOR) ship.